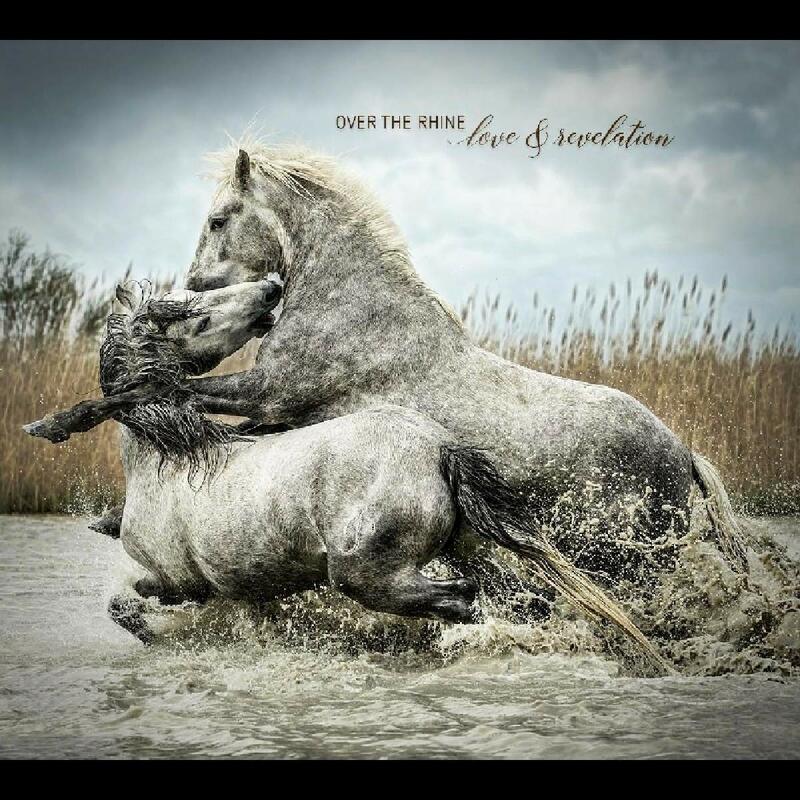 Fire Note Says: Love & Revelation delivers another fine chapter in the artful catalog of Over the Rhine, a fine songwriting duo on their 15th album. Album Review: As songwriters, Karin Bergquist and Linford Detweiler have always invited people into their “Earthbound Love Song.” In the 30th year of their artistic sojourn as Over the Rhine, which was a quartet for that first decade including guitarist Ric Hordinski and drummer Brian Kelley, Detweiler and Bergquist continue pulling back the curtain on their inner lives, making evocative music rich with poetic leanings, often wearing their hearts on their sleeves. On their last album, another brilliant double disc collection, 2013’s Meet Me at the Edge of the World, they invited us to walk with them around the farm that they “Called Home,” in the middle of nowhere, Ohio. And in recent years, they’ve even hosted their own Nowhere Else arts festival in their own back yard on Memorial Day weekend, two days to appreciate music, art, earth and sky, in Clinton Co., Ohio. Who does that, invites a few hundred of their friends over to camp out, drink wine and listen to music? In 2017, Detweiler welcomed the pilgrims, fans, family and friends who had found their way to the circus tent in their backyard for a full day of music from Phil Madeira and the Red Dirt Boys, The Birds of Chicago and more with a quote from GK Chesterton. He said, we need preachers to remind us that we are going to die, and we need poets, artists, musicians and writers to remind us we are alive. Well, on Love & Revelation they attempt to “roll away the stone” with the acknowledgement that “(I Don’t Want to) Let You Down,” the assurance that they will be there for each other. These times are challenging, with all the chaos on the news each day, the madness may feel never-ending, but we have these “Broken Angels.” Simple piano runs, and gently fingered acoustic guitars lay the grounding on lovely ballads like “Making Pictures” and “Leavin’ Days” which lets the melancholy drip like gentle pedal steel over the quiet sense of perseverance in the lyrics, the mandolins providing the right balance of sweet resolve. 30 years in, Over the Rhine has a way with a song, but even with 15 albums worth of material between them, they’re looking for that next moment of inspiration, and “Betting on the Muse.” Love & Revelation delivers another fine chapter in the artful catalog of this fine songwriting duo.